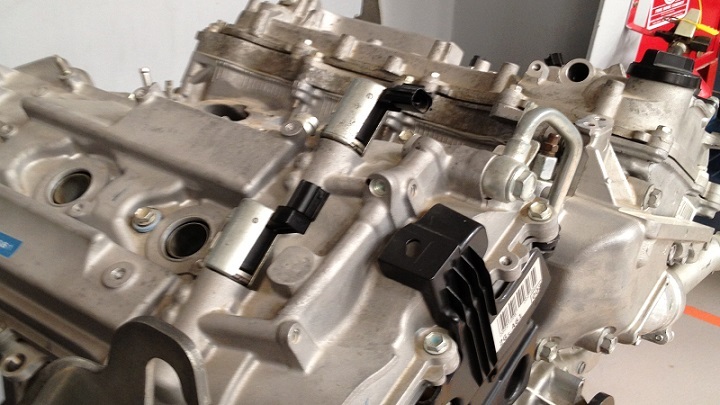 A petrol engine is the standard four-stroke engine found in most vehicles that run on gasoline. It is basically a machine that generates power for the vehicle by converted fuel energy into heat energy, which in turn causes the vehicle to move. The process is quite fascinating because the engine creates power from the fuel and then runs on its own power as well. The way it creates this power is by burning the fuel that you put into the car such as the gasoline that you pump into it at the gas station. This fuel is burned through a self-controlled combustion process that allows the engine to run smoothly. A petrol engine is called a four-stroke engine because it goes through four unique processes for combustion to take place. First is the air suction process which is basically the aspiration or breathing of the engine. Second is when the fuel gets mixed with the air, causing the fuel to break into a misty form that is highly atomized. After that, the fuel and air mixture get ignited from the spark of the petrol engine. Lastly, the highly atomized particles of fuel get burned which results in heat energy being released from it. This is the combustion process that takes place every time you start up your car and drive it around. The four stroke engine process is also known as the Otto Cycle. A German engineer named Nikolaus Otto was the first person to invent and patent a four-stroke petrol engine. Each step in the process is named with the word stroke in it; Suction stroke, compression stroke, power stroke and exhaust stroke. It is important to understand the term Otto Cycle because it is different than the combustion cycle that diesel engines used known as the “Diesel Cycle.” This cycle is also a four-stroke process, but the details of how each process works are different than the Otto Cycle. The older petrol engines used to have a carburetor installed in them to mix air with the liquid fuel. Now there is something called “fuel-injection” technology which is a sophisticated engine management system that helps do this process better while lowering the amount of carbon emissions that get produced. But the ignition still needs the spark plug to burn the fuel properly. The spark plug is the one component of a petrol engine that has been there for many generations.